Autism is a developmental delay that includes symptoms such as speech difficulties, lack of eye contact, isolation and no fear of danger. Early diagnosis and treatment helps young children with autism develop to their full potential. The primary goal of treatment is to improve the overall ability of the child to function. Millets are known for their high iron, protein, fiber and calcium content. Moreover it has a low glycemic index i.e. it releases sugar into the blood very slowly. It is also gluten free. ADHD or ‘Attention Deficit Hyperactivity Disorder’, a behavioral disorder in children.This impairs the child academically as well as his/her social adaptability. Genetics and numerous environmental factors are considered as the most probable causes. Early intervention, Medical Advise, Therapy services and Healthy Diet helps autism children for speedy recovery. SMILES Foundation - Bridging the Mile in Special Skills, Smiles offers free assessments and parent counseling for autism children. Facilitates Therapy Services and support to transform Autism kids to normal stream, independent living and get admission in Normal Schools. 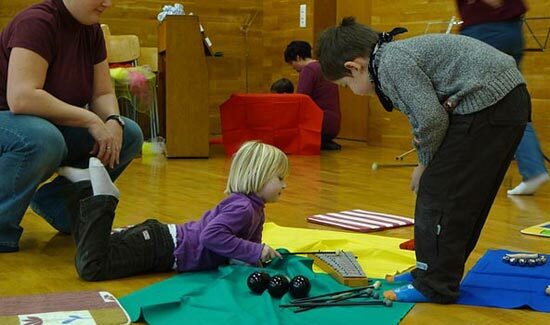 Autistic kids find it difficult to communicate and express using words. They tend to keep to themselves, reacting abnormally to their surroundings, express sensitivity to normal sounds and touch, and have trouble linking words to their meanings (therefore learn better by using picture) as well as their inability to understand or comprehend feelings expressed by others. A child with autism tends to repeat certain words, have temper tantrums and/or flap their hands. Considering the actual root cause for Autism occurrence is not known yet and research still continues globally. In the interest of social responsibility www.autism.school taking initiative with help of Smiles Foundation Hyderabad and AutismHelp.in a portal to bring Autism Awareness in India and help parents & Kids for necessary advise for proper recovery. Autism kid needs minimum of 4 therapies in a day (Speech Therapy, Occupational Therapy / Sensory Integration, Special Education and Behavior Correction or Psychological advise). Every child learning curriculum is different and it changes every day and needs regular assessments to plan improvement steps. There is no complete treatment or Surgical procedure. Only Regular therapies with special care with medical advice helps to bring Autistic Kids to Normal Stream- Long Term process. A forum connecting Kids of Autism, supporting parents, teachers, therapists, volunteers, researchers and NGO's worldwide. World Autism Awareness Day is an internationally recognised day on the 2nd of April every year. Millets are known for their high iron, protein, fiber and calcium content. Moreover it has a low glycemic index i.e. it releases sugar into the blood very slowly. It is also gluten free. Hence it is perfect for people with diabetes and with gluten allergy. So, people with Autism or Diabetes can have millet as a substitute for rice. © 2017 Smiles Foundation . All rights reserved | Design by W3layouts.